The UN Day is celebrated all over the world since 1948. This year also marks 25th anniversary of Uzbekistan joining the United Nations. Helena Fraser, the UN Resident Coordinator and UNDP Resident Representative in Uzbekistan emphasized on the UN’s support to the Strategy for Action on the five priorities. Sascha Graumann, UNICEF Representative in Uzbekistan, Dr. Lianne Kuppens, WHO Representative in Uzbekistan, Mieko Yabuta, UNFPA Representative in Uzbekistan and Ashita Mittal, UNODC Representative in Uzbekistan also presented key priorities of UN in the country. The special IPC UN session highlighted the role of United Nations system in Uzbekistan to support the reform agenda in the country in the area of inclusive economic development, with a focus on employment and social protection, quality health and education, environmental protection and effective governance and rule of law. “The UN family in Uzbekistan supports Uzbekistan in achieving its ambitious and compelling agenda. Since 1993, we have been supporting the Government to realize its national development priorities. 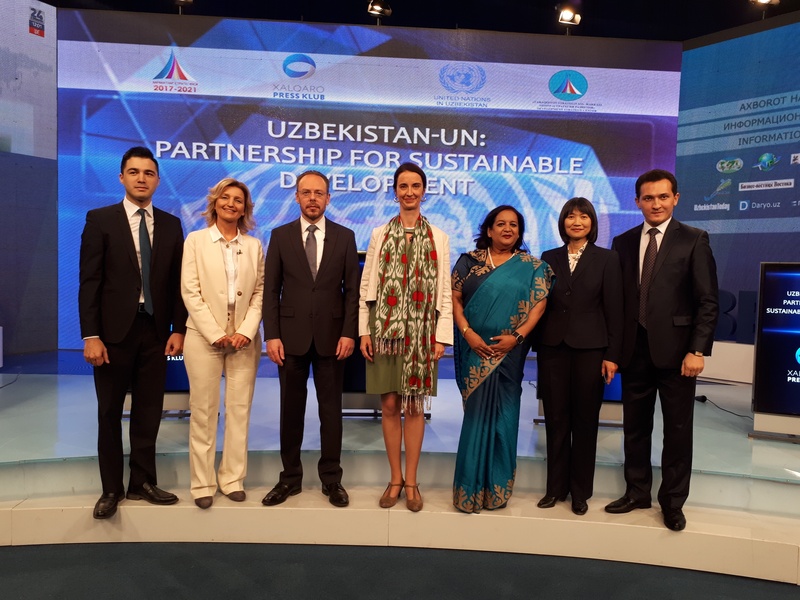 Today, we commend the enhanced collaboration between the UN in Uzbekistan and the Government, under the auspices of the global Sustainable Development Agenda and the Government’s Action Strategy,” said Helena Fraser, UN Resident Coordinator and UNDP Resident Representative in Uzbekistan. The Global Sustainable Development Goals are very significant for the country, because for the first time in the history of the UN a comprehensive, global consultation process has generated a common vision for development until 2030. This commitment has been endorsed by all 193 UN member states, resulting in a universal vision of how the world should look like in 2030. The philosophy of the SDGs is that economic development must happen hand in hand with social protection and human rights, bringing vulnerable groups into the mainstream of development and leaving no one behind. Since 1992 the monetary contribution of the UN system to Uzbekistan has been about USD 471 million. 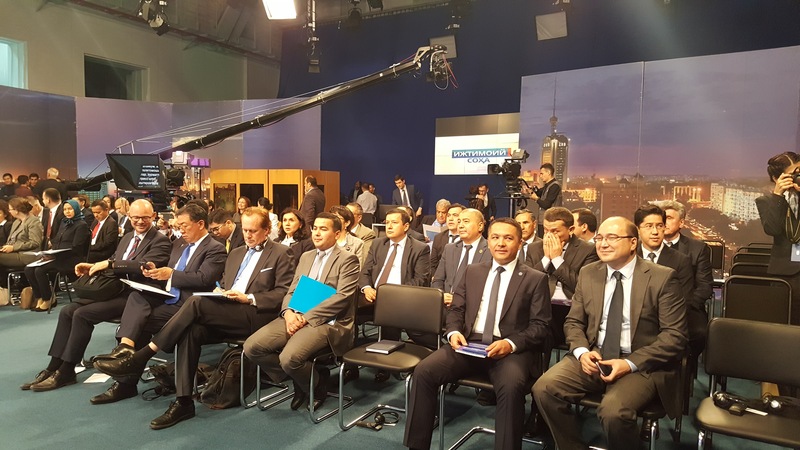 This financial assistance has been through transfer of good practices and knowledge from other countries to be adapted for development priorities of Uzbekistan. In cooperation with national and international development partners, the United Nations in Uzbekistan remains committed to further support the Government in achieving its ambitious agenda to deliver greater prosperity and dignity to all citizens of Uzbekistan. Today, the United Nations “family” in Uzbekistan comprises the United Nations Development Programme (UNDP), United Nations Population Fund (UNFPA), United Nations Children’s Fund (UNICEF), World Health Organization (WHO), United Nations Educational, Scientific and Cultural Organization (UNESCO), United Nations Office for Drugs and Crime (UNODC), United Nations Regional Centre for Preventive Diplomacy in Central Asia (UNRCCA), International Labour Organization (ILO), Food and Agriculture Organization (FAO), UN Migration Agency (IOM) and UN Volunteers (UNV). The World Bank, as an independent, specialized Agency of the United Nations System, also significantly contributes to the United Nations’ work in the country. Additional contributions to the United Nations System’s work are made by some agencies which do not have offices in the country, but still provide their assistance to the country. These include United Nations Environmental Programme (UNEP) and United Nations Economic Commission for Europe (UNECE), International Atomic Energy Agency (IAEA), UNAIDS and UN Women.